"He depicts this stereotypically pure character in a dark, violent, and mature way, which twists our conception of the innocence embodied by childhood stories." McCarthy's drawing entitled "Dwarf House" is now on display at the Renaissance Society. On the fourth floor of Cobb Hall, a set of doors opens into a large, white room in which artwork is usually on display. I first noticed it halfway through last quarter when walking out of my SOSC classroom one afternoon. Peering inside, some of my first-year classmates and I voiced the same question: Has this always been here? The answer is yes, for a hundred years now. The Renaissance Society, a contemporary art museum established in 1915, has been celebrating its centennial since last September. Four artists were featured last quarter, which is atypical: The society usually puts on four exhibitions over the course of the year. L.A.-based Paul McCarthy’s drawings from his series White Snow form the latest exhibition, on display until January 24. 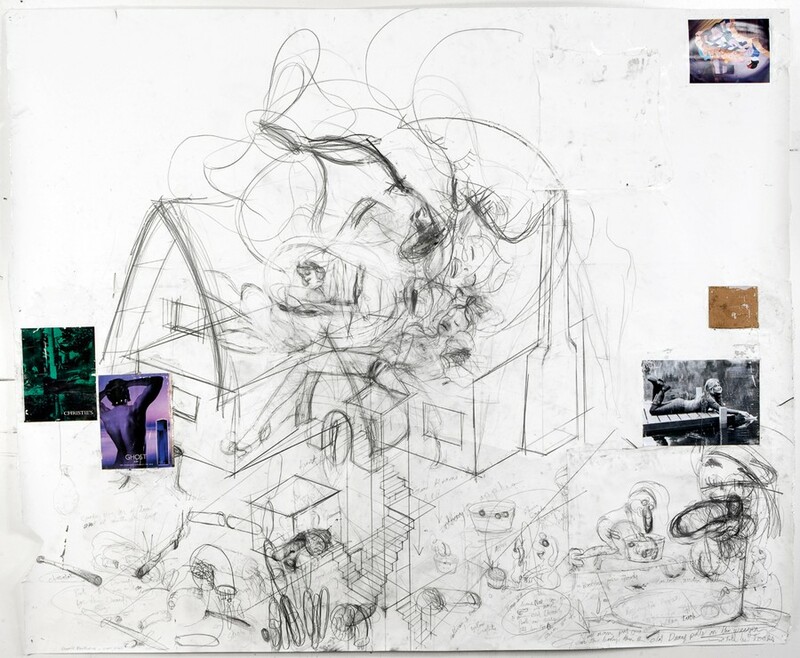 Curated by the current and former directors of the Renaissance Society, Solveig Øvstebø and Susanne Ghez, McCarthy’s exhibition features 75 drawings produced between 2008 and 2015. Some belong to private collections worldwide, but most were selected from McCarthy’s personal studio. “Paul McCarthy is someone who has never had a solo show in Chicago before, which is pretty incredible, considering he’s so prolific,” said the Society’s director of communications Anna Searle Jones. Indeed, this is one reason for featuring his work. Yet, according to Øvstebø, what distinguishes this show from McCarthy’s other exhibitions is that it is his first “institutional show of drawings,” lending further insight into the creative scope of an artist who is predominantly known for his performance art and sculptures. Thematically, McCarthy’s works are known for their biting commentary on popular culture. This explains his focus on the Disney fairytale Snow White in his exhibition. He depicts this stereotypically pure character in a dark, violent, and mature way, which twists our conception of the innocence embodied by childhood stories. The title of the exhibition, White Snow, indeed represents a total inversion of all that is typically associated with Snow White. According to Øvstebø, McCarthy’s work “combines pop culture and humor with the darkest part of human nature” as a way of breaking societal impositions that are not always “good for us.” After all, it is easy to remain trapped in what Øvstebø describes as the “security net” of normality. Although this is the first time that McCarthy’s drawings are on display independently instead of being accompanied by his films or sculptures, they still remain tightly linked to his performance art. His projects are always accompanied by a series of drawings: some of the sketches on display in this exhibition are set designs he later used in his installation of the series. These drawings outline the presentation’s proper setup, complete with dimensions and annotations. According to Øvstebø, McCarthy’s habit of talking and making noises while drawing illustrates the inseparability of art and performance in his work. His drawings are thus what Øvstebø calls “a practice within a practice.” Even though he works with two-dimensional media when drawing, they retain a performative aspect indicative of his prominent body of work. But such is in keeping with the Renaissance Society’s aim to support “ambitious artistic expression” and “present opportunities for further discovery and discussion.” White Snow is an exhibition which breaks boundaries, inverts common conceptions, and provokes discourse. It’s bound to shock and inspire wherever exhibited. The films and the space that houses them are uncanny, teetering just outside the realm of realistic representation.